The message of “Back in Your Arms” is tender, the words believable in the warm honesty of their delivery. The mood is bright with persistent strums backing the tale of a traveling troubadour in “Belfast” as hope is cast out like a beam in “There’s a Light”, love becomes one with the ashes left for “Roberta”, and desolation catches the current in “Lonely’s Where the River Goes”. 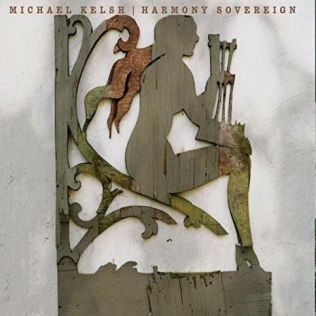 Human emotions are molded like characters in clay by the voice of Michael Kelsh. He is flesh to the blood pumping through the songs on his recent release, Harmony Sovereign, putting meat on bone for the decisions of “Death Penalty” as Michael Kelsh whispers sad realizations in “Better with Goodbye” as he digs through the past with a determined string band melody for “House on 16th Avenue”, and scribbles thoughts down on the rolling rhythms of “Crazy Dream”. Deep in the heart of Nefesh Mountain are two musicians, Doni Zasloff (vocal) and Eric Linberg (vocal, guitar, banjo). The pair combine voices as Nefesh Mountain on their recent release, Beneath the Open Sky, filling the songs with enthusiasm in the harmonies of “On and On (L’Dor Vador)” as they offer a travelers tale (“Bound for the Promised Land”), share a workload (“Kitchen Gal”), and tenderly sing a song for summer “Wild Mountain Thyme”). 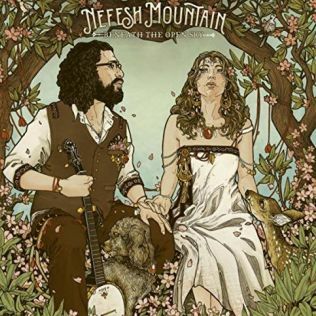 It takes friends to make a mountain out of a duo, and Beneath the Open Sky expands into a band with Sam Bush (mandolin), Jerry Douglas (dobro), and David Grier (guitar) among the musicians who backed Nefesh Mountain. Recorded in Nashville, Tennessee, Beneath the Open Sky is the sound of string band Bluegrass, Nefesh Mountain strumming up good feelings as they stomp out a rhythm to shake the world with “A Mighty Roar”, translate mountain music moods with Hebrew for “Oseh Shalom”, and furiously rejoice in a flurry of notes and words shouting out “Halleluyah”. 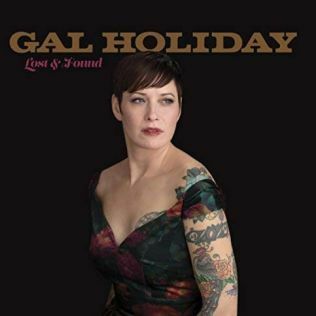 Vintage Country music can be discovered in the roadhouse jukebox sounds of Gal Holiday on her recent release, Lost and Found. Based in New Orleans, she is backed by the Honky Tonk Revue both live and on the album, the music picking out Country Rock’n’Roll (“Let’s Run Away”), playing a slow dance with a special message (“Someone Like You”), twanging out a toe-tapper (“Found Myself Instead”), and sifting through sluggish rhythms to find hidden gems (“Loose Diamonds”). Gal Holiday and the Honky Tonk Revue were a cornerstone for the Country Roots music scene in NOLA when they formed in 2004. Lost and Found continues to put jewels in their crown as Gal Holiday takes a hit and keeps on going with “The Bottle and the Booze”, wrangles the western rhythms snaking through “Desert Disco”, and drawing a line in tolerations with “Ain’t Gonna Buy My Ring”. The gentlemen part of the band name may be open for discussion however the electric half of their moniker well-accounted for when Dustin Douglas and the Electric Gentlemen plug in and turn up the volume. 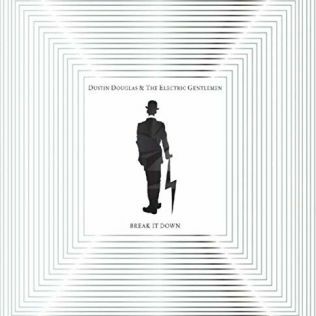 The beat is big on Break It Down, the latest release from Dustin Douglas and the Electric Gentlemen, the bass thump and drum pound heavy-handed Rock as six-strings tease with Blues-dosed licks. Dustin Douglas delivers Soul-laced lines for Break It Down, seductively seeking love in “Your Face is Stunning”, moving over to let groove sink into a psychedelic boiling pot of sonics to take the song out. A winding rhythm lays out a red carpet for desires in “A Little Bit” while “Fat Cat” spits on a guitar-led conga line of rhythm and “Ain’t No Denyin’” bares its heart. Based in Wilkes-Barre, Pennsylvania, Dustin Douglas and the Electric Gentlemen bring the sizzle of a live show directly into Break It Down, erasing the line between studio and stage as they quietly pluck out notes before the beat begins in “On the Dance Floor” as the band’s slow its decision process over a percolating jam in “Turn Around” and up the adrenalin to plow into the funk of “Destiny”. The Blues is band lifeblood in the tracks of James House and the Blues Cowboys, the self-titled release from the Nashville, Tennessee trio. Guitarist James House is backed with two Lafayette, Louisiana musicians, Smoov Ras (drums) and Roddie Romero (guitar) on the album. James House and the Blues Cowboys diving deep into the groove for “Ballad of the Troubadour” as they feel the heat of a memory in “Gone Again”, strut alongside “Arkansas Woman” with a thick swamp beat, spit notes into the murder tale of “Well Ran Dry”, and loop rhythms around “Boomerang”. Over the course of the career that has taken North California native James House from the west coast to a new home in Nashville, he has stayed a true course for The Blues that is his calling. 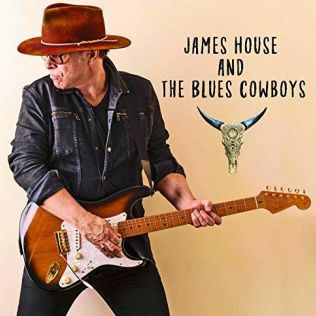 James House and the Blues Cowboys rattles style with “Moving on Over”, wonders about the future in “Which Side of the River You On”, and wards off devil spirits with a pounding beat in “Long Way Down”. American-born singer/songwriter Phillip Marino packed homeland influences of Jim Croce, John Mellencamp, Neil Young, and Bob Dylan in his suitcase when he made a move to Essex, England. Chasing Ghosts, his fourth and latest release, was recorded in his adopted home, Phillip taking songs into Boathouse Studios in Suffolk, England to make a record. 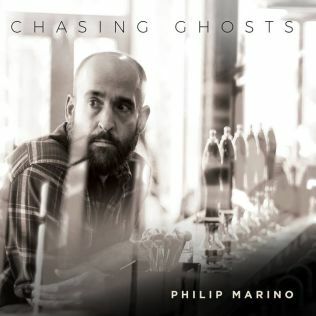 Phillip Marino turns to his own life for the tracks on Chasing Ghosts, offering advice for a friend in “No Turning Back”, picking put sparkling steel-string acoustic notes for a family tale with “In the Blood” and relating a personal history in the strums of “The Way It Goes”. Chasing Ghosts carves a dark edge with aggressive chords to match the story for “The Road Goes Down” as Phillips Marino tries to change the course of love in the title track.